Cut bread in half and place on the leaf of salad. 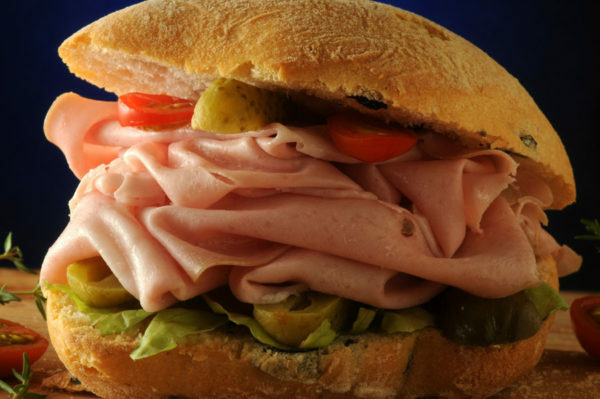 Stuff the sandwich with Mortadella Bologna PGI, tomatoes, gherkins and olives. Top with EVO oil. Garnish if desired.